We are on a mission of change to rewire young brains for positivity. Two subscription sizes are available. 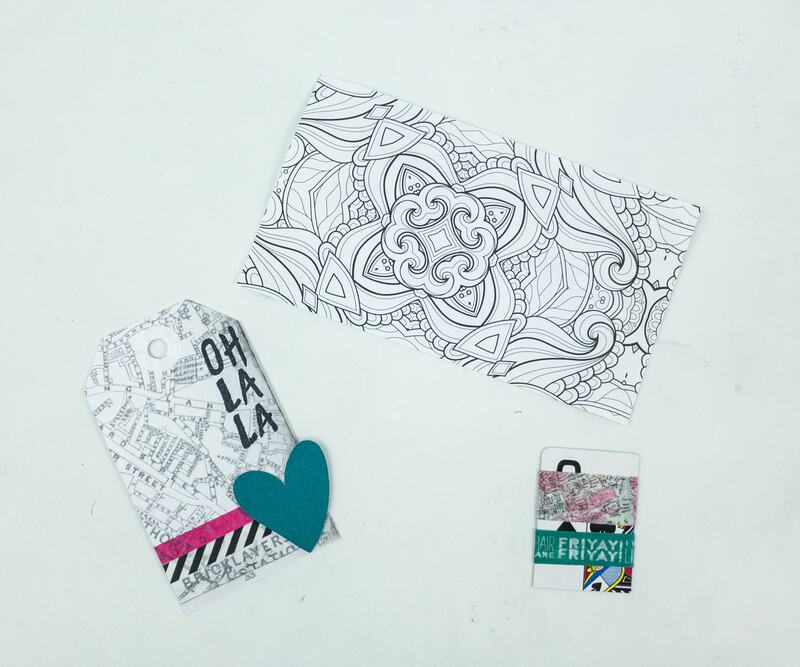 The You Matter Pack contains one to three items and therapeutic activity. 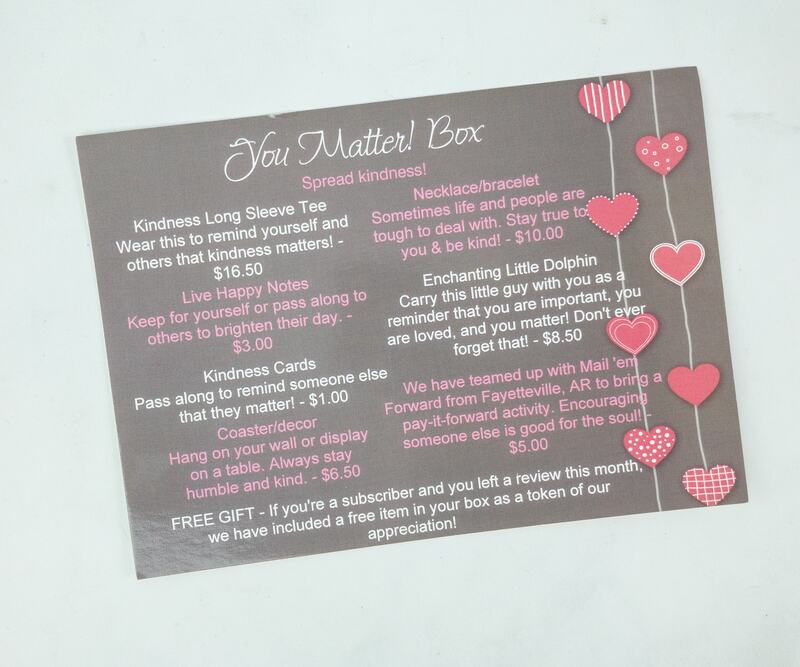 The You Matter Box has four to six items and therapeutic activity. The box is full, and I’m feeling positive vibes from it! 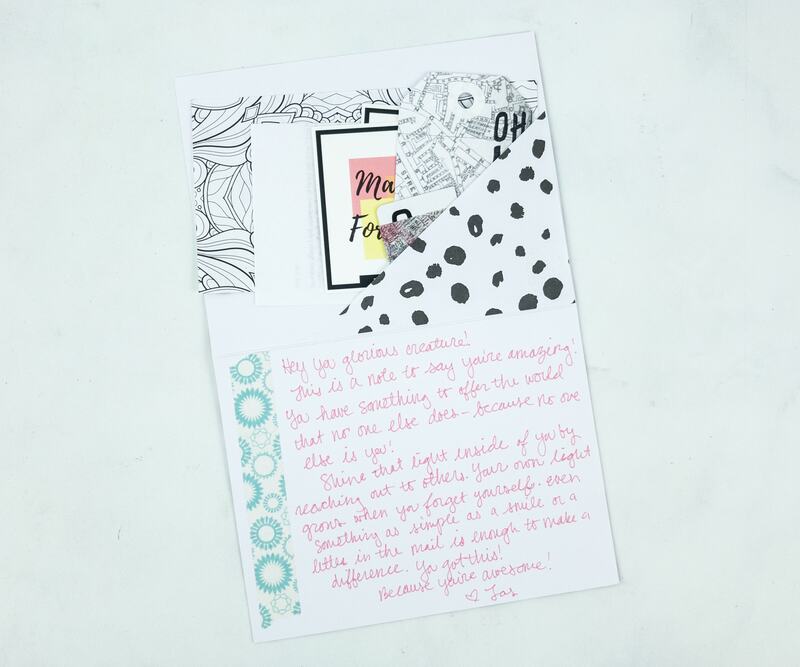 The card on top of everything says that “You Matter”! They also included an info card that lists everything that’s inside the box! 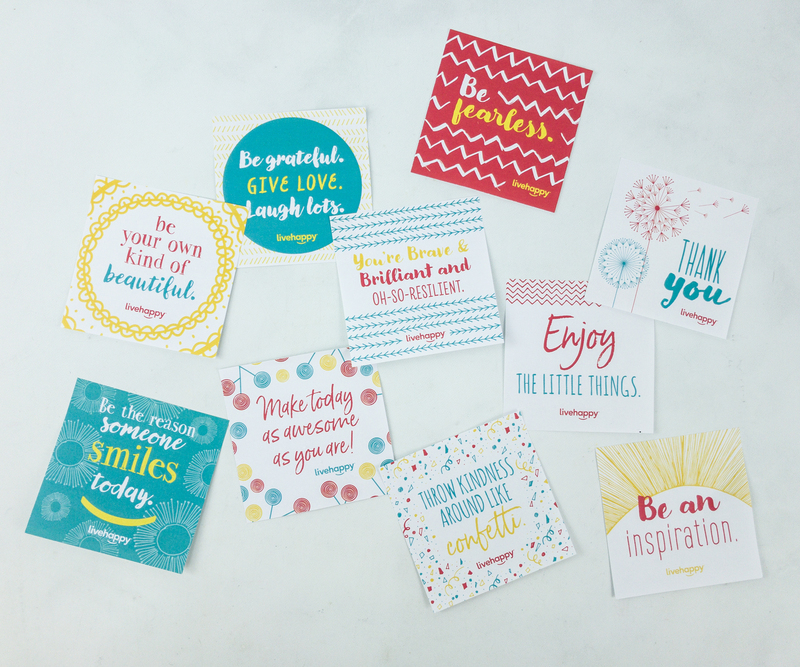 There are several little cards that are very inspiring. You can keep them to empower and inspire yourself, or share it with others. Either way, you will really feel nice. 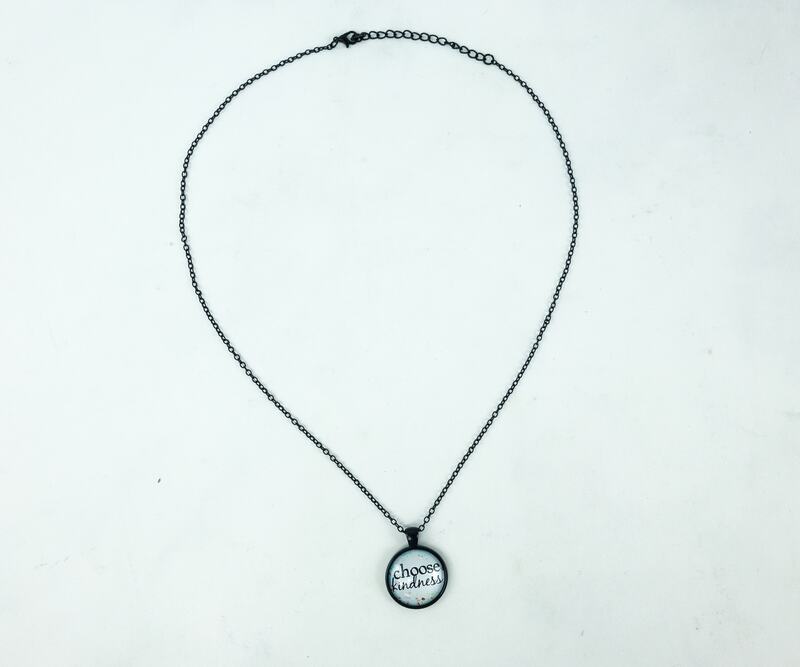 Necklace ($10) This necklace is not just an accessory, but a reminder to always be kind! 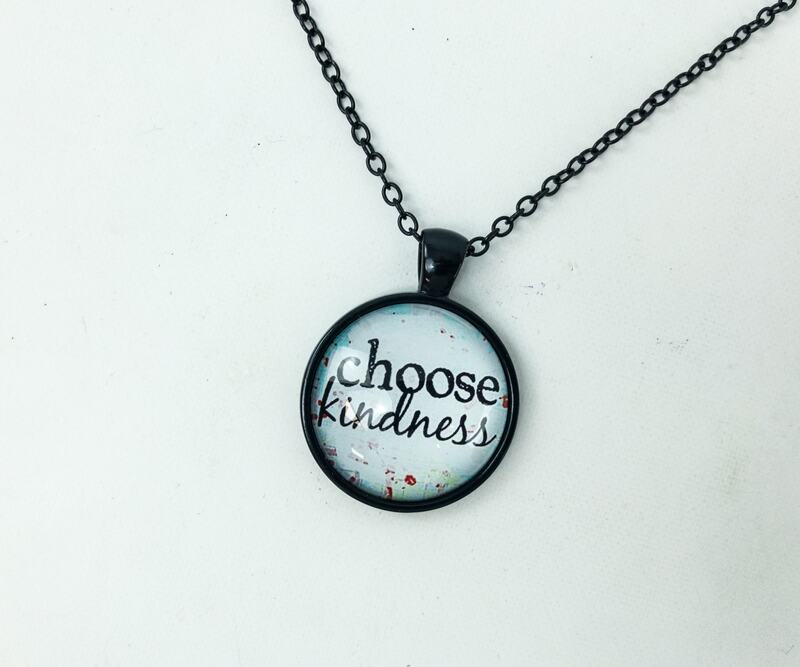 The beautiful pendant says “choose kindness.” It looks good with any shirt color! 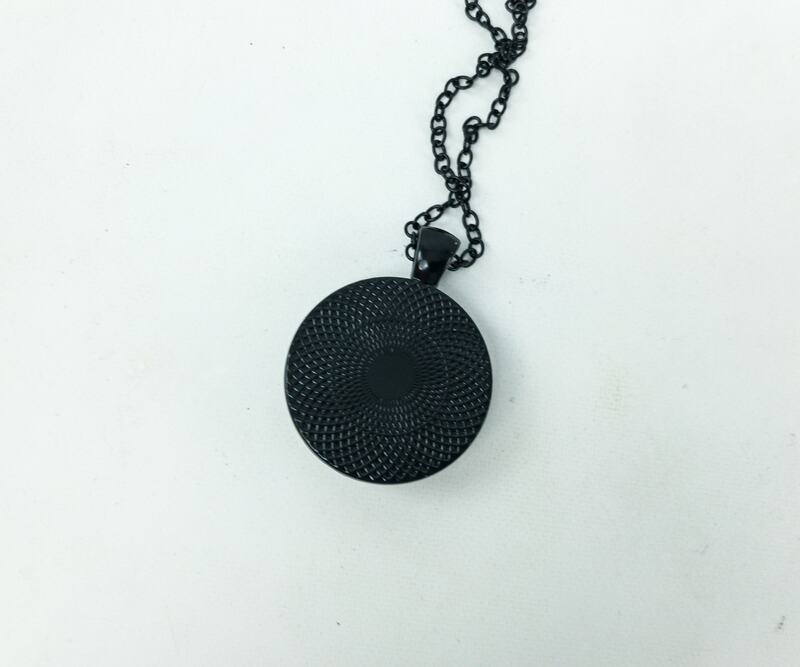 Even the back of the pendant has beautiful patterns. It’s all black and I like it. Coaster/Decor ($6.50) I like decorative coasters, and this one is just perfect. It has a beautiful reminder for us too! 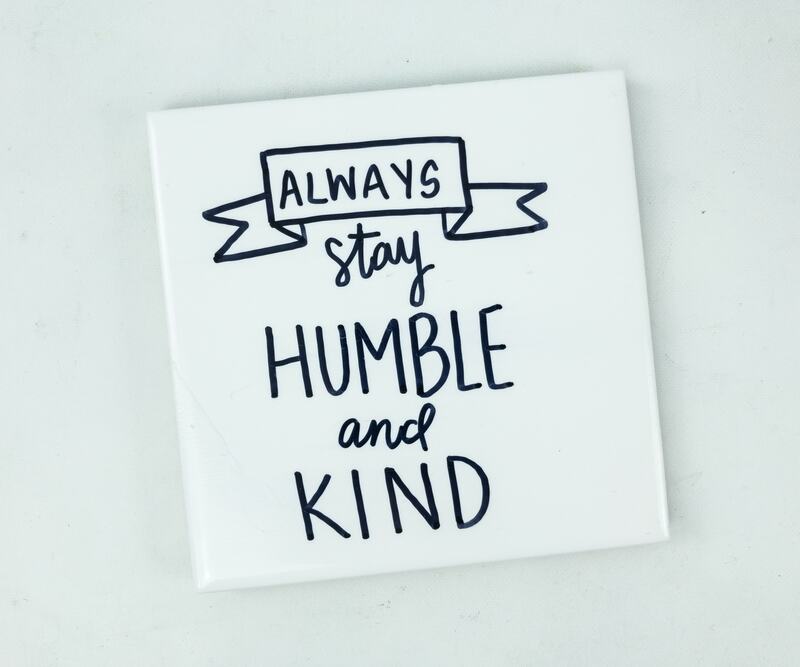 Always stay humble and be kind. 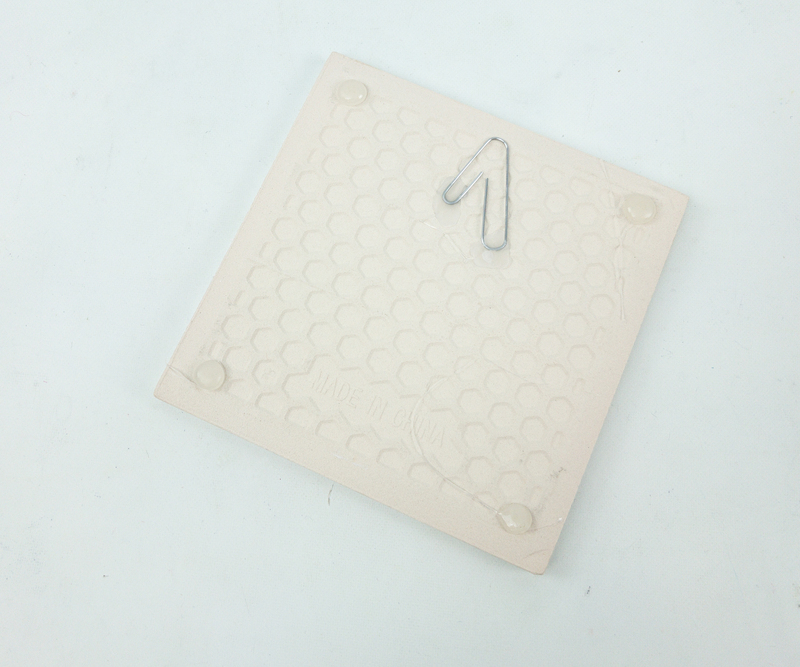 The coaster has a non-slip bottom, so no worries about spills that will make the surface slippery! 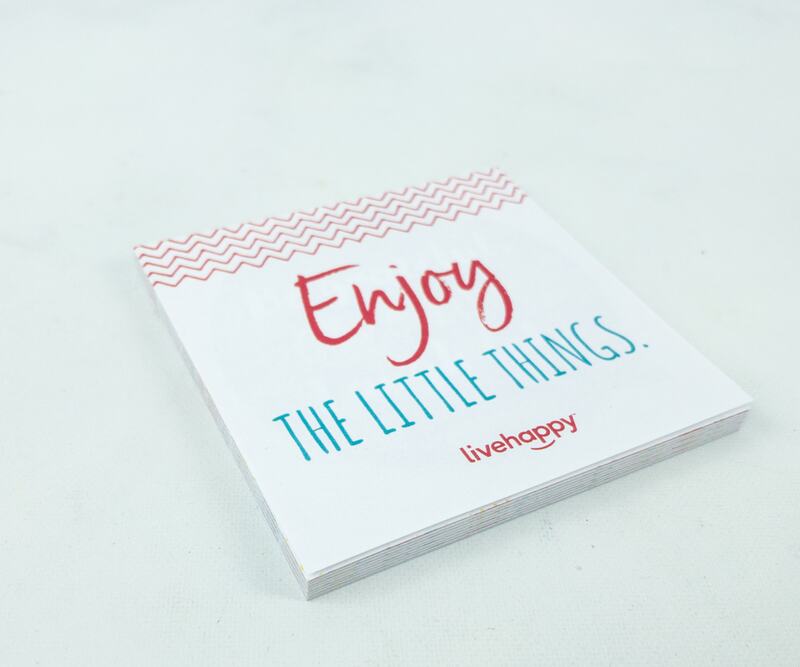 Live Happy Notes ($3) Another positivity-filled item is this notepad. It reminds me to “enjoy the little things.” I like the color combination and the fonts featured as well. If all my notepads always come with such positivity, any task at hand would be much easier to do! 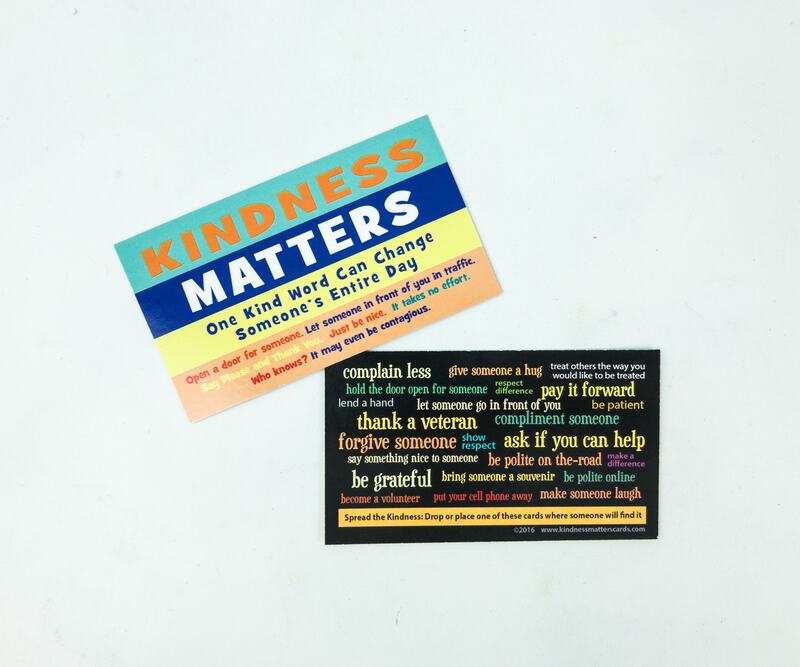 Kindness Cards ($1) The cards are meant for sharing with family, friends, or even a stranger. Each piece is colorful and carries a positive message. 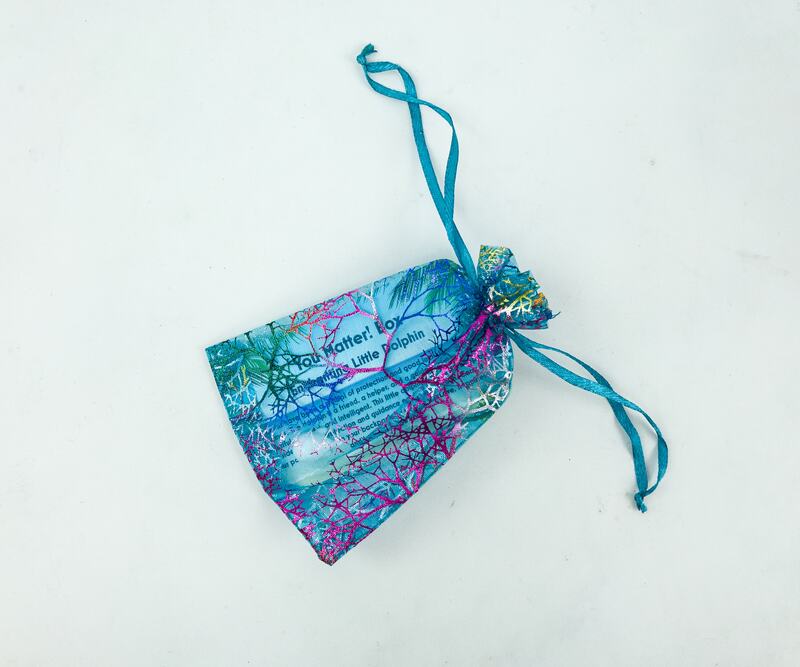 Enchanting Little Dolphin ($8.50) The enchanting little dolphin came in an equally enchanting drawstring pouch. Look at that adorable smile! 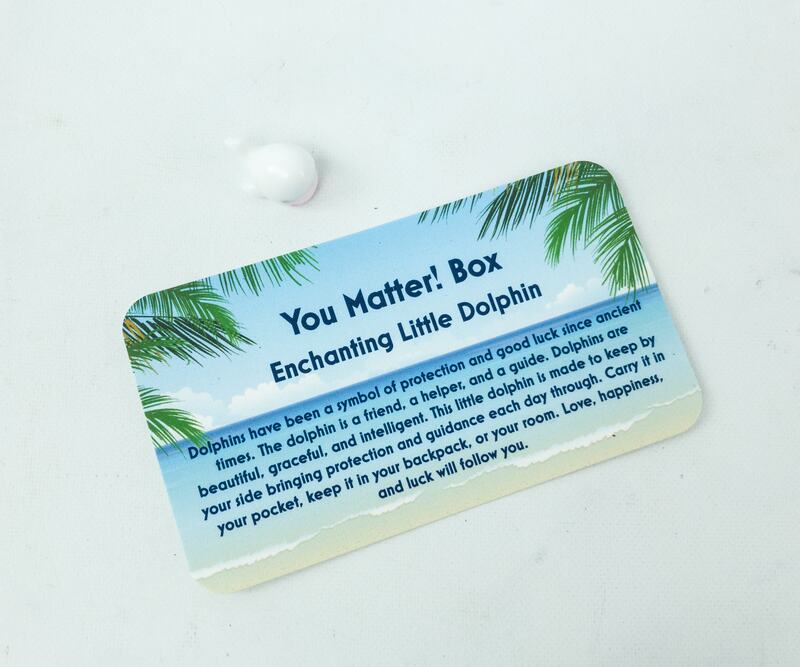 It even came with a card that explains and gives more information about dolphins, being the symbol of protection and good luck since ancient times! 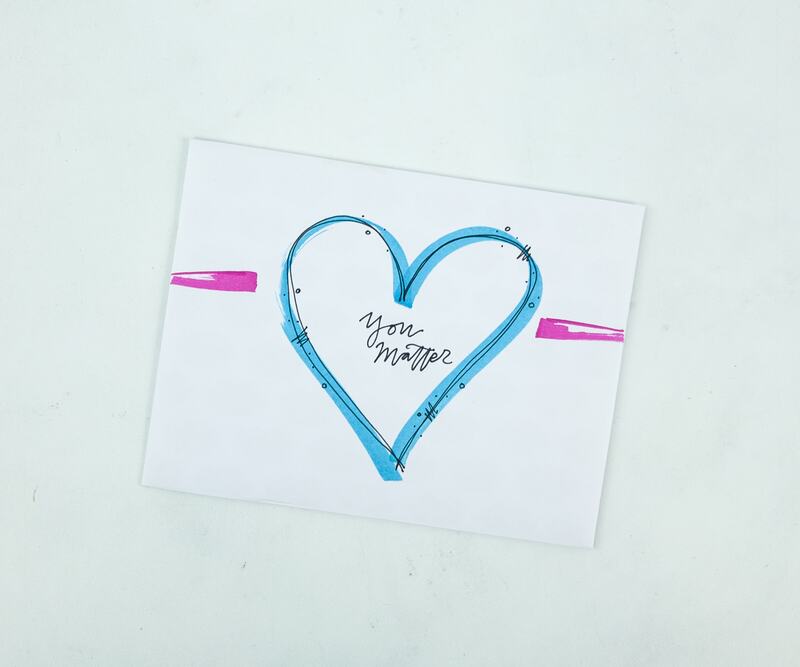 You Matter Card. Here’s a really empowering card that needs to be passed around! 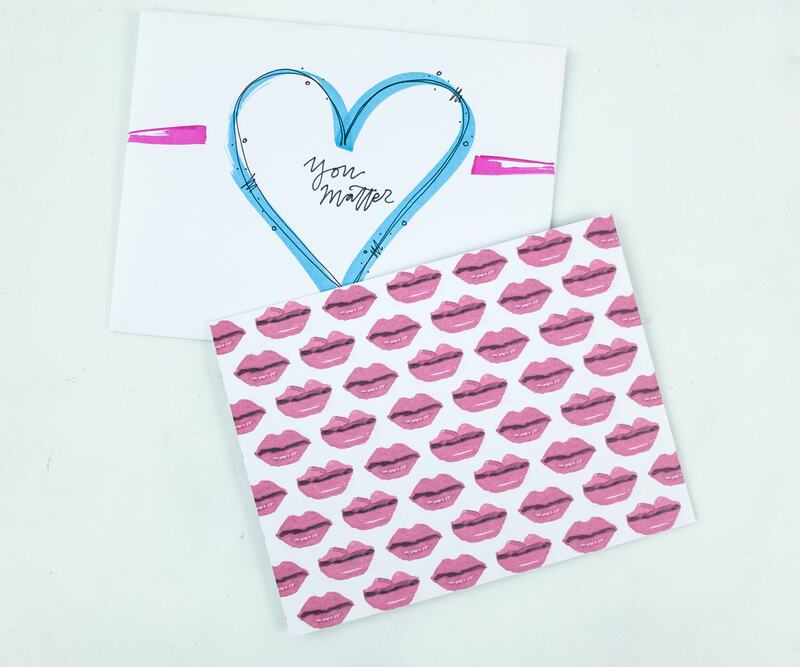 It comes with an envelope featuring gorgeous lip prints! 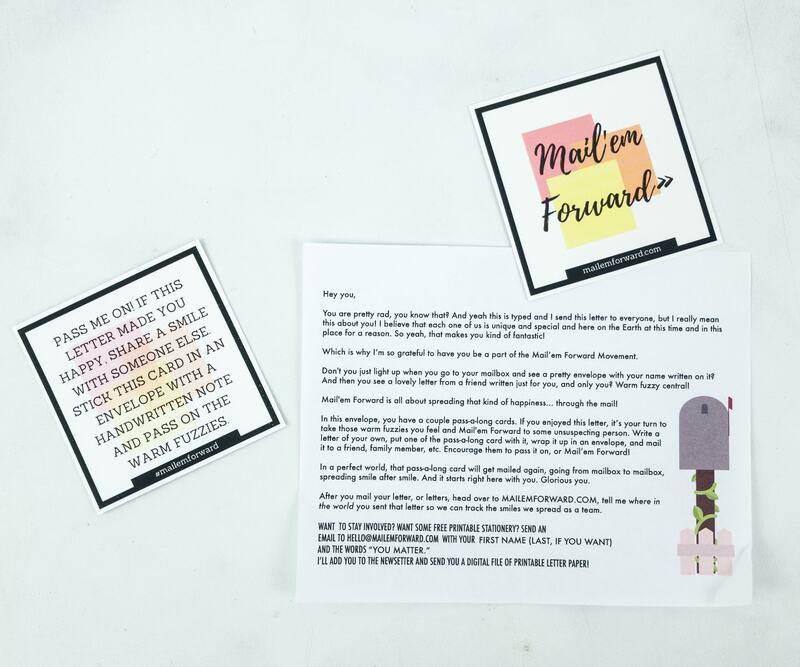 Mail ‘Em Forward Activity ($5) You Matter Box collaborated with Mail ‘Em Forward for this pay-it-forward activity. There’s a note that tells you how you can contribute to this activity. 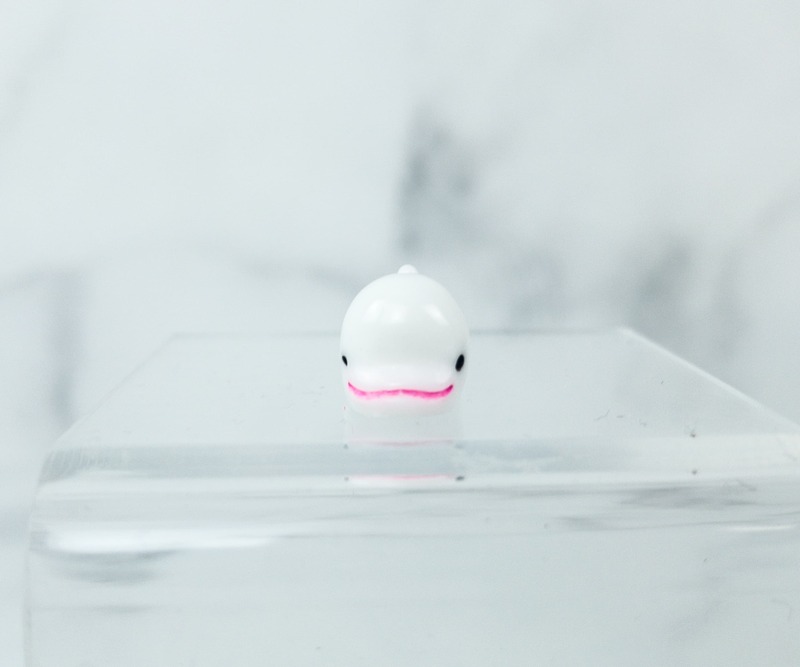 Just pass on the warm fuzzies to unsuspecting people and see how it will bring happiness and bright smiles to them. Here are some of the stuff from the activity that I can send out! They’re all lovely! 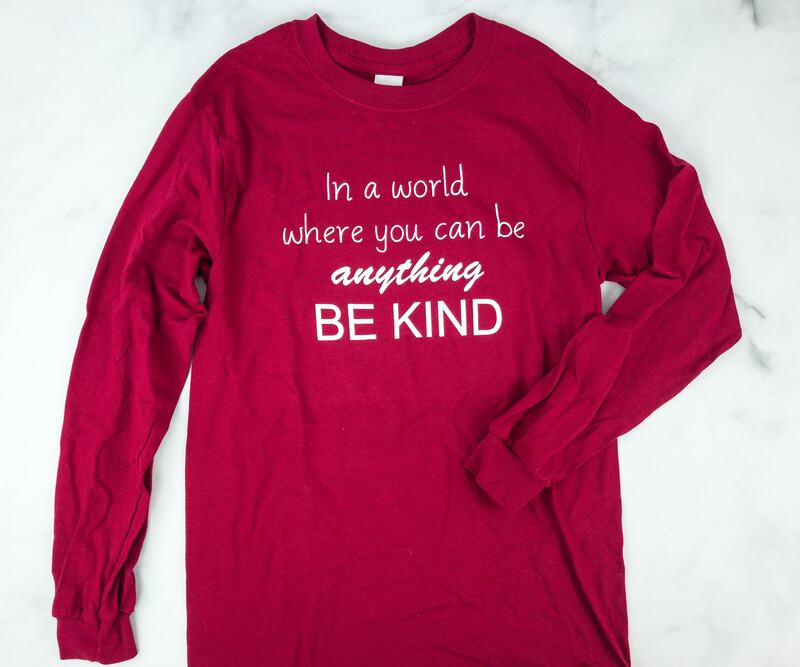 Kindness Long Sleeve Tee ($16.50) This red pullover is really adorable! 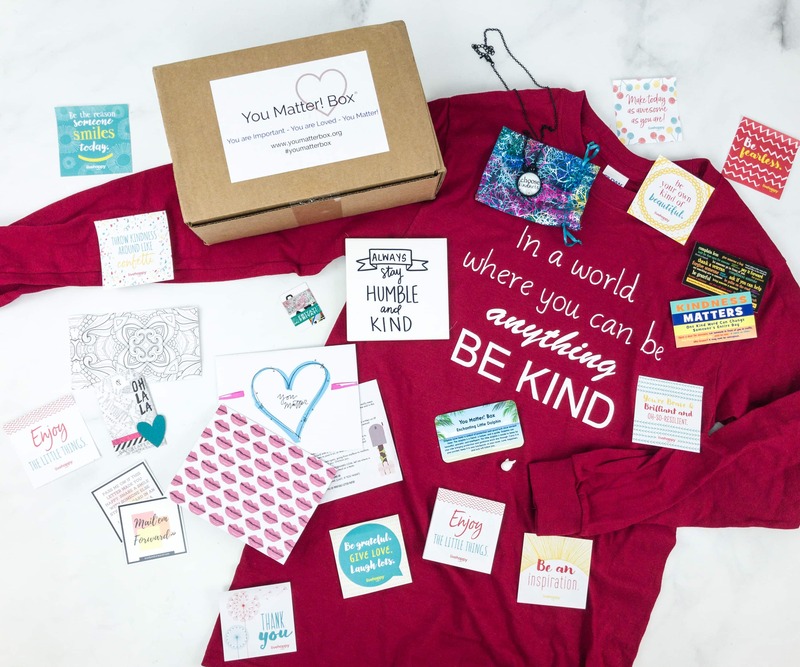 Like the other items in the box, it reminds us of a positive message about kindness. Yes, you can be anything in this world, and one is choosing to be kind. Kindness goes a long way! I love this shirt and the positivity it brings. 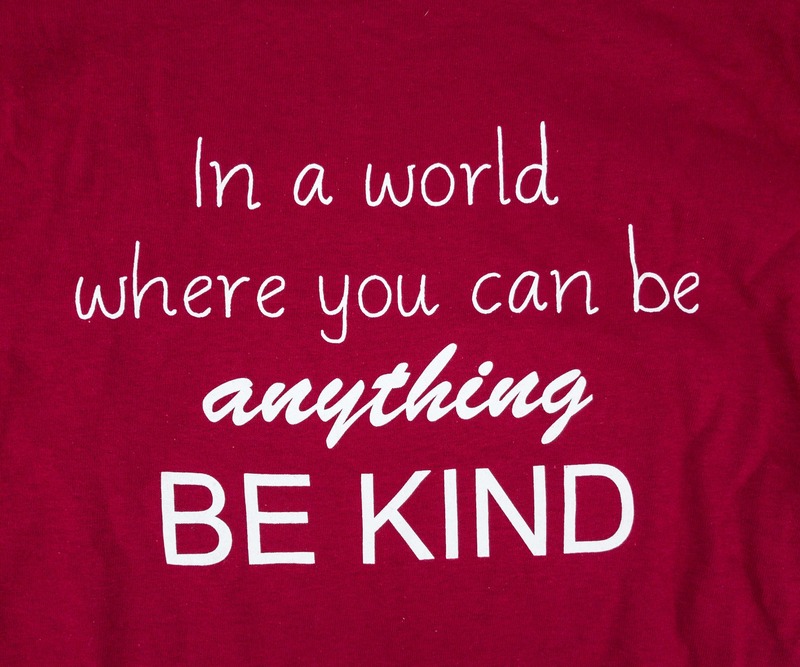 I know that whoever sees me wearing this shirt will also be reminded to always be kind, even if others are not. What a great and positive box! All the contents are beautiful and inspirational. 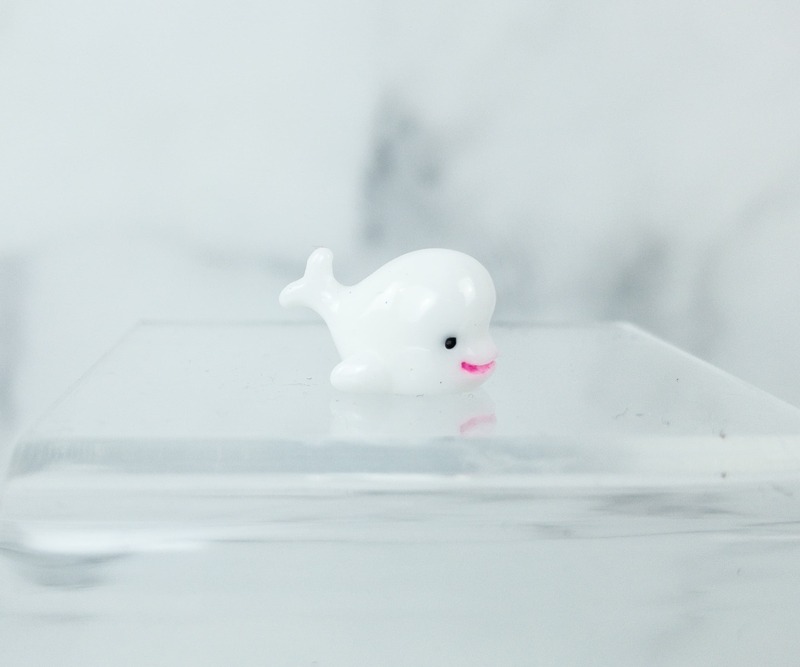 The coaster, notepad, and the little dolphin will surely have a place on my desk. 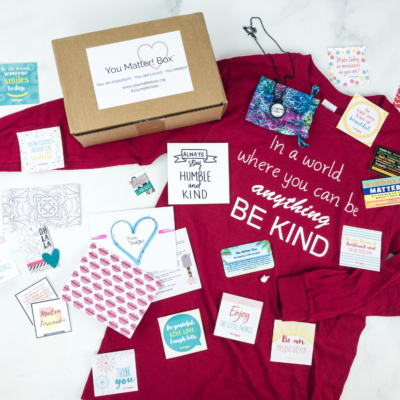 It’s a great idea to include kindness cards in the box, as it encourages us to spread positivity as well. I love how this box embodies positivity, it’s impossible to not smile while looking at the contents. Even my kids love You Matter Box! What do you think of this new subscription? 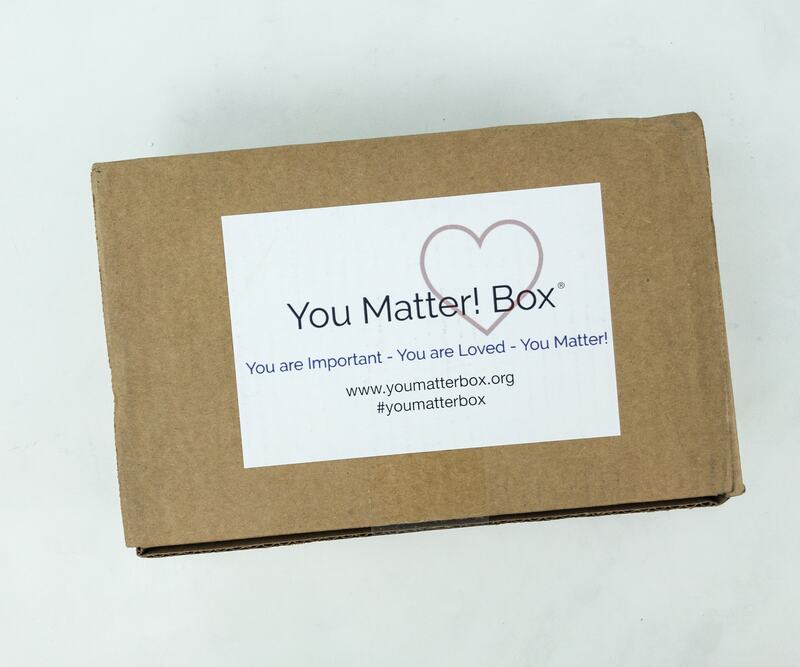 Visit You Matter Box to subscribe or find out more! The You Matter! 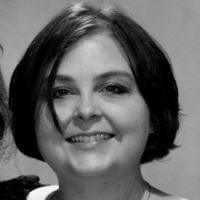 box was developed by Dr. Shannon Curtis, a practicing school counselor. After many meetings with students, it was found that many of them are feeling alone, depressed, suicidal, and invoking self-harm. 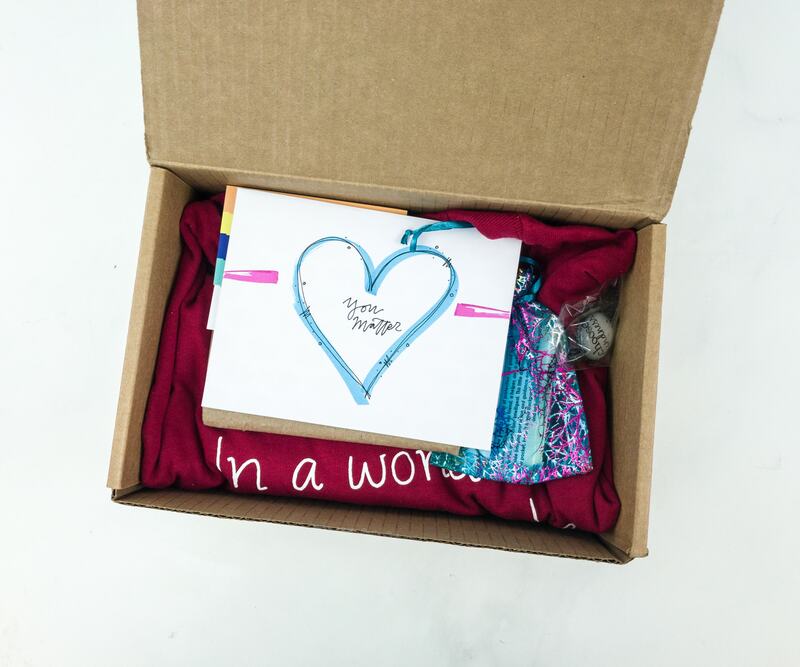 This box is filled with encouraging, uplifting items and activities to promote positivity!